This article was originally published in our monthly LPG Storage e-Newsletter on February 29, 2016. 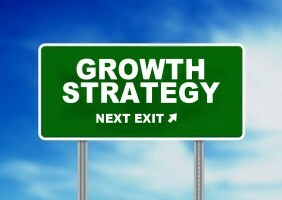 In the article, you can read about a growth strategy one successful propane business owner uses. The business owner we featured was our very own Mike Svoboda – managing partner at Axmen Propane and partner here at Alliance Truck and Tank. We received a very favorable response to the article from our subscribers so decided to post the information here as well. We hope that you find it useful and if you’re interested in subscribing to our monthly newsletter, email me john@alliancetruckandtank.com or call our toll free number 800-632-2038 and we’ll be happy to add you to the list. In this special edition of the newsletter we want to share a recent conversation with Mike Svoboda, managing partner of Axmen Propane in Missoula, Montana about his plans for growing his business this year. For years, Mike did what many other propane marketers have traditionally done and that’s send out mailers to targeted areas. Those mailers typically generated about a 2-3% response rate of which roughly 10% result in switchouts. Now when things start to get slow, Mike has service and delivery personnel knocking on doors. Mike says make sure your employees are prepared with some leave behind material. Mike likes to use a door hanger which has a business card tear-off at the bottom. If the resident is home, the door hanger can be handed off, but if they’re not home it’s left on the door handle where it’s easily seen when someone comes home. Another favorite of Mike’s is a business card magnet. Most people see value in a magnet and will leave it on the refrigerator or other highly visible location for years at a time. 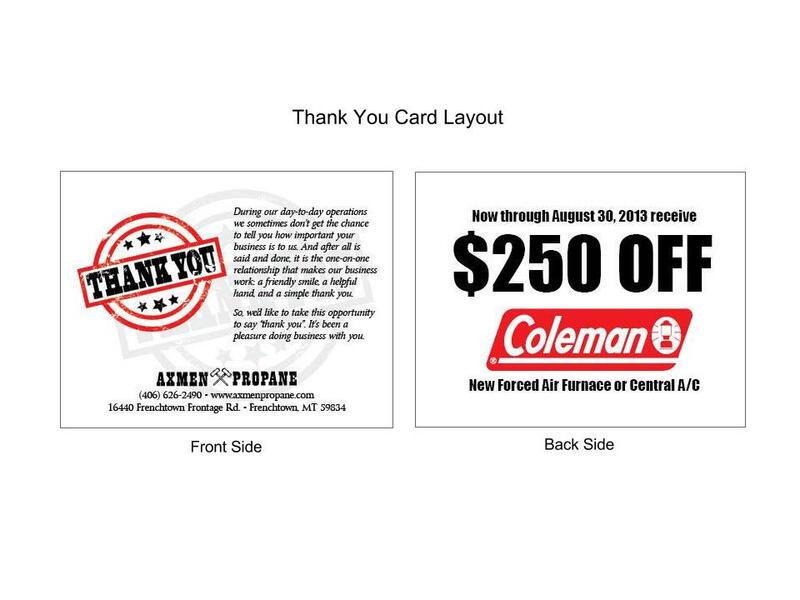 Whether it’s a door hanger, business card or thank you note, Mike says you want to make sure the material clearly spells out the products and services you’re promoting and has easy to read contact information. And make sure you order plenty. Mike’s team has gone through 5,000 door hangers in just the last three months. And what about the results? Remember the 2-3% response rate Mike was seeing from mailers? Mike says the response rate using his “knocking on doors” method is about 10% of which about 17% result in switchouts. 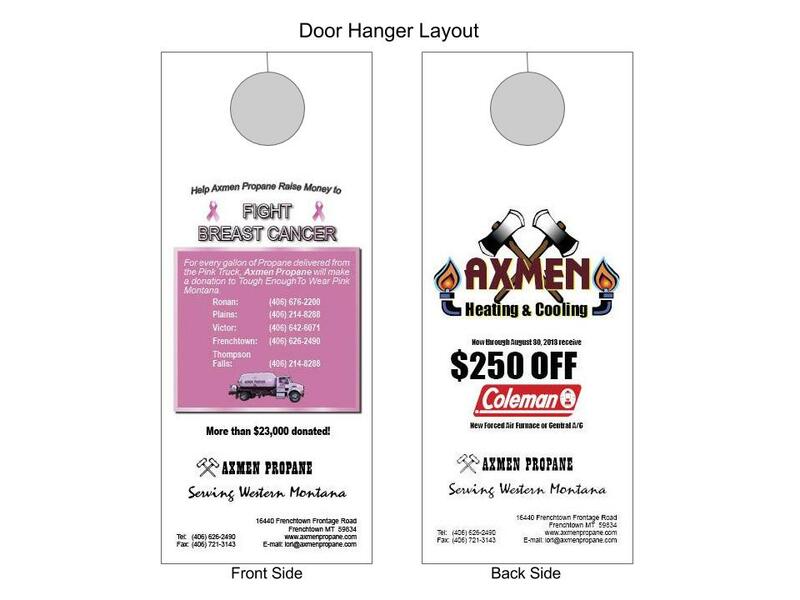 So for every 1000 doors they knock on, Axmen Propane gets 100 phone calls on average and picks up 17 new customers while their competitors lose 17 customers. One other note, Mike says, “If you’re looking to add a new bulk plant, make sure you have a solid plan for growth around that plant.” He suggests asking yourself these questions; Do you already have a customer base in the area? Is there opportunity for many switchouts? How many rooftops are within a 30-mile radius of the proposed new plant? Is there new construction or residential housing growth in the area that requires propane service?